Our expert reviews measure the effectiveness of your technology and/or the network infrastructure. We provide you with feedback and recommend a suitable and cost-effective solution. If you are from an educational establishment and require a visitor management system that speeds up the sign in process, securely stores information, and gives you peace of mind that your students are safe then you should consider InVentry. InVentry was designed for educational establishments, including primary schools, secondary schools and colleges. 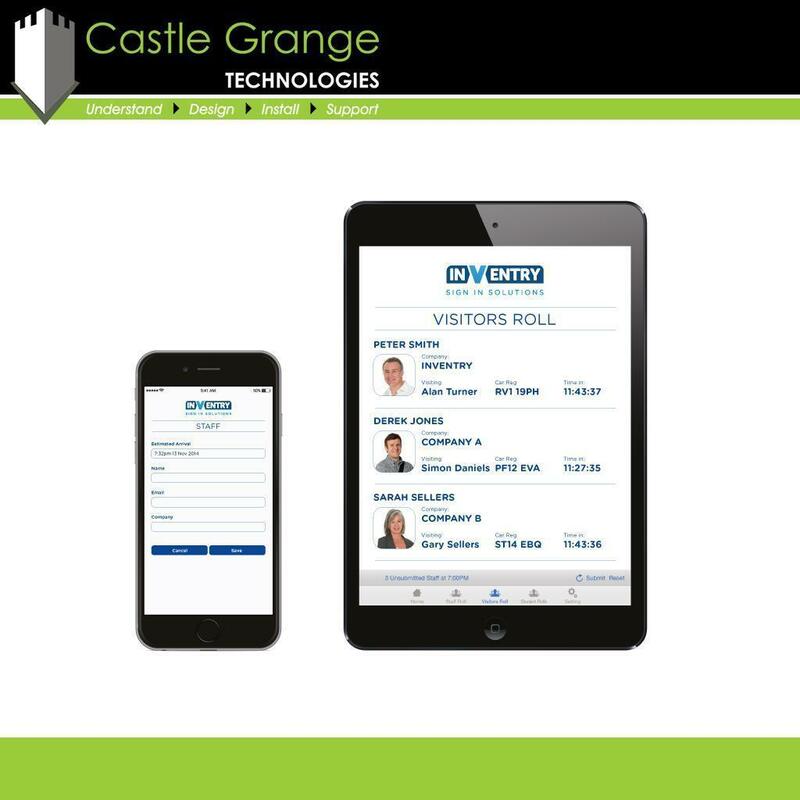 It is the most trusted site access and visitor management system on the market. The InVentry touchscreen system is intuitive and easy to use and manage, it offers SIMS integration and MIS compatibility, it keeps a record of the movement of staff members and visitors and serves as a central record of DBS checks. The clever reception console also registers staff, visitors and students during any fire alarm drills making it compatible with Ofsted’s role. Minimising the risk to children, young people and adults by evaluating the effectiveness of schools procedures for safeguarding. 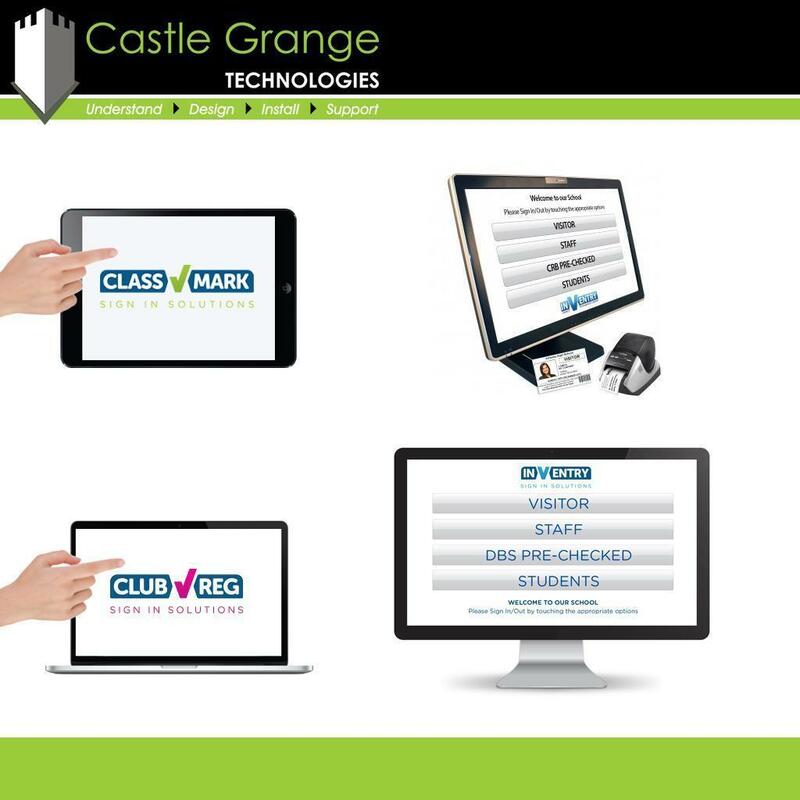 ClassMark is a replacement for paper registers, it is a great asset for teachers and administration staff who no longer have to process registers onto SIMS, helping to improve organisation. ClubReg is a digital registration system for breakfast and after-school clubs that links with the rest of the school, ensuring registration for clubs outside of normal lesson time is no longer overlooked. SchoolAudit is software for asset tracking and compliance management. There are separate modules for primary schools, secondary schools and colleges, we will help to specify a solution from InVentry suited to you. We offer a professional installation and setup service. We understand technology is relied upon and so we aim to reduce the downtime of any of our customer’s technology with our fault call service and AV maintenance contracts. You can view our photographs and videos relating to InVentry Visitor Management by using the tabs below. Joslin Rhodes are a friendly team of qualified independent financial advisers offering pension and retirement planning services across the UK. Cygnet Law provide a family legal service to all sectors of the community and pride themselves in maintaining a high level of customer service and care. This can be demonstrated through their achievement of the Lexcel quality mark/accreditation. Early in January 2014, construction commenced on Grangefield Academy’s new school under the Priority Schools Building Programme. The new build would see the academy relocate from a premises they have occupied since 1951 to a fantastic new school. The County Durham and Darlington Fire and Rescue Service (CDDFRS) wanted to create interactive and immersive training simulations for members of the service to participate in firefighting training exercises in its new state-of-the-art fire training centre. Knayton Primary School is a charming rural school based in Knayton Village within the North Yorkshire region. They have a strong belief in creating a caring, stimulating and supportive environment allowing their pupils to reach their full potential. A new state-of-the-art Innovation Centre has recently been built at Stockton’s £100m Northshore regeneration scheme. The Innovation Centre is managed by Teesside University and will offer tenants the full range of its business innovation and development services. Over the years we have had the privilege of working with over 130 educational establishments within the North East due to the relationships we have built with local authorities, a not-for-profit IT Company and directly with various schools. Since opening in 1998 Visualsoft have delivered cutting edge eCommerce solutions to their clients and have now built up a portfolio featuring over 1,000 websites, including some globally recognised brands. The professional eCommerce company was named Company of the Year at the Teesside heat of the North East Business Awards 2015 in March. Ford Engineering are an award-winning, highly successful specialist in the precision machining and pressing of components and assemblies for the Aerospace engineering, Automotive and other related high technology industries. Whale Hill Primary School is based locally to ourselves in Redcar, we have had the privilege of working with the school on various audio visual projects for some years now. Junction Farm is a local primary school based in Stockton-on-Tees, they believe in providing a platform which will assist children in fulfilling their potential. This belief has been carried into their teaching and has enabled their school to achieve a well-deserved position of 141st in The Top 200 State Primary School Rankings.